Welcome to F.A.S. Fuels and Lubricants, a heating business serving commercial and residential customers by delivering fuel. Our family business is proud to bring you products such as furnace and stove oil, gasoline and diesel fuel, kerosene and lubricants. In fact, F.A.S. Fuels and Lubricants is a Chevron dealer. Our services – other than delivery – include furnace repair and maintenance. So what makes F.A.S. Fuels and Lubricants different from other fuel delivery companies? We deliver warmth – not only in our products, but also with our service. Our delivery staff is often complimented on their friendliness and willingness to go the extra mile. At F.A.S. Fuels and Lubricants, we’re prompt and thorough in our deliveries. Because we’re a small company, we’re able to deliver better service. We also offer competitive pricing, if not better than our competition. For example, F.A.S. Fuels and Lubricants employees are available 24/7. You’ll never get the runaround with us – you talk to a real person every time you call us. 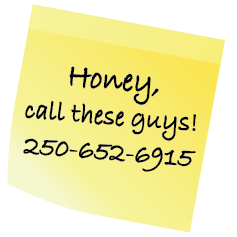 Call today and see! What makes us different at F.A.S. Fuels and Lubricants? We are the only family owned and operated fuel supplier. Sign up for an automatic account today and receive $500 of free heating oil! That’s $100 per year! Plus, we will throw in a bottle of TBM 4-in-1 Oil Treatment as a one-time bonus. Automatic accounts always receive 5 cents/litre discount; phone call accounts receive the same discount when ordering 300 litres or more. If you refer someone to F.A.S. Fuels and Lubricants and they buy a minimum of 300 litres of fuel, you will receive an additional 5 cents/litre off your next fill (minimum 300 litres for phone accounts). We have emergency services so you aren’t left out in the cold. Stay in the know about our products. Learn how we keep our services top notch. Get fuel delivered right to your door. Ask us about our premium plan.